The final episode of Season 7 of Game of Thrones has once again, somewhat unsurprisingly, set another viewing record for HBO – which airs the show in the US. Some 16.5 million people tuned in live or streamed the hour-and-a-half-long episode on August 27th, marking an all-time high for the fantasy juggernaut. 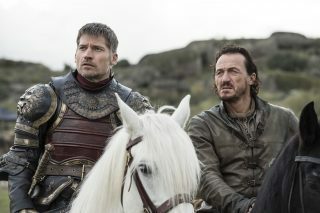 The episode’s total viewirship was up 36 per cent on the Season 6 finale. Season 7 has seen a 34 per cent increase in viewership overall, averaging about 31 million views per episode counting all live, on-demand and streaming plays. The numbers should offer some comfort to HBO, which has faced a tough time with hackers and leaks during the Season 7 run. Season 8 (the final season) was originally planned for summer 2018, but now rumours are abound that it could be pushed back to 2019.